Posted by Peter Varhol in Architectures, Machine Learning, Strategy, Uncategorized. It turns out that most people who care to comment are, to use the common phrase, creeped out at the thought of not knowing whether they are talking to an AI or a human being. I get that, although I don’t think I’m myself bothered by such a notion. After all, what do we know about people during a casual phone conversation? Many of them probably sound like robots to us anyway. And this article in the New York Times notes that Google was only able to accomplish this feat by severely limiting the domain in which the AI could interact with – in this case, making dinner reservations or a hair appointment. The demonstration was still significant, but isn’t a truly practical application, even within a limited domain space. Well, that’s true. The era of an AI program interacting like a human across multiple domains is far away, even with the advances we’ve seen over the last few years. And this is why I even doubt the viability of self-driving cars anytime soon. The problem domains encountered by cars are enormously complex, far more so than any current tests have attempted. From road surface to traffic situation to weather to individual preferences, today’s self-driving cars can’t deal with being in the wild. You may retort that all of these conditions are objective and highly quantifiable, making it possible to anticipate and program for. But we come across driving situations almost daily that have new elements that must be instinctively integrated into our body of knowledge and acted upon. Computers certainly have the speed to do so, but they lack a good learning framework to identify critical data and integrate that data into their neural network to respond in real time. Author Gary Marcus notes that what this means is that the deep learning approach to AI has failed. I laughed when I came to the solution proposed by Dr. Marcus – that we return to the backward-chaining rules-based approach of two decades ago. This was what I learned during much of my graduate studies, and was largely given up on in the 1990s as unworkable. Building layer upon layer of interacting rules was tedious and error-prone, and it required an exacting understanding of just how backward chaining worked. Ultimately, I think that the next generation of AI will incorporate both types of approaches. The neural network to process data and come to a decision, and a rules-based system to provide the learning foundation and structure. Posted by Peter Varhol in Algorithms, Machine Learning, Software development, Technology and Culture, Uncategorized. Alan Turing was a renowned mathematician in Britain, and during WW 2 worked at Bletchley Park in cryptography. He was an early computer pioneer, and today is probably best known for the Turing Test, a way of distinguishing between computers and humans (hypothetical at the time). More specifically, the Turing Test was designed to see if a computer could pass for a human being, and was based on having a conversation with the computer. If the human could not distinguish between talking to a human and talking to a computer, the computer was said to have passed the Turing Test. No computer has ever done so, although Joseph Weizenbaum’s Eliza psychology therapist in the 1960s was pretty clever (think Alfred Adler). The Google AI passes the Turing Test. https://www.youtube.com/watch?v=D5VN56jQMWM&feature=youtu.be. I’m of two minds about this. First, it is a great technical and scientific achievement. This is a problem that for decades was thought to be intractable. Syntax has definite structure and is relatively easy to parse. While humans seem to understand language semantics instinctively, there are ambiguities that can only be learned through training. That’s where deep learning through neural networks comes in. And to respond in real time is a testament to today’s computing power. Second, and we need this because we don’t want to have phone conversations? Of course, the potential applications go far beyond calling to make a hair appointment. For a computer to understand human speech and respond intelligently to the semantics of human words, it requires some significant training in human conversation. That certainly implies deep learning, along with highly sophisticated algorithms. It can apply to many different types of human interaction. But no computing technology is without tradeoffs, and intelligent AI conversation is no exception. I’m reminded of Sherry Turkle’s book Reclaiming Conversation. It posits that people are increasingly afraid of having spontaneous conversations with one another, mostly because we cede control of the situation. We prefer communications where we can script our responses ahead of time to conform to our expectations of ourselves. Having our “AI assistant” conduct many of those conversations for us seems like simply one more step in our abdication as human beings, unwilling to face other human beings in unscripted communications. Also, it is a way of reducing friction in our daily lives, something I have written about several times in the past. Reducing friction is also a tradeoff. It seems worthwhile to make day to day activities easier, but as we do, we also fail to grow as human beings. I’m not sure where the balance lies here, but we should not strive single-mindedly to eliminate friction from our lives. Posted by Peter Varhol in Machine Learning, Software development, Technology and Culture. I was just accepted to speak at the Toronto Machine Learning Summit next month, a circumstance that I never thought might happen. I am not an academic researcher, after all, and while I have jumped back into machine learning after a hiatus of two decades, many more are fundamentally better at it than me. The topic is Cognitive Bias in AI: What Can Go Wrong? 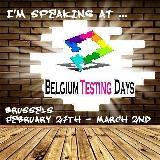 It’s rather a follow-on from the presentations I’ve done on bias in software development and testing, but it doesn’t really fit into my usual conferences, so I attempted to cast my net into new waters. For some reason, the Toronto folks said yes. But it mostly means that I have to actually write the presentation. And here is the rub: We tend to believe that intelligent systems are always correct, and in those rare circumstances where they are not, it is simply the result of a software bug. No. A bug is a one-off error that can be corrected in code. A bias is a systematic adjustment toward a predetermined conclusion that cannot be fixed with a code change. At the very least the training data and machine learning architecture have to be re-thought. If you’re not a white male, artificial intelligence’s use in healthcare could be dangerous. When artificial intelligence judges a beauty contest, white people win. But the fundamental question, as we pursue solutions across a wide range of applications, is: Do we want human decisions, or do we want correct ones? That’s not to say that all human decisions are incorrect, but only to point out that much of what we decide is colored by our bias. I’m curious about what AI applications decide about this one. Do we want to eliminate the bias, or do we want to reflect the values of the data we choose to use? I hope the former, but the latter may win out, for a variety of reasons. Posted by Peter Varhol in Algorithms, Software development, Software platforms. Circa 1990, I was a computer science graduate student, writing forward-chaining rules in Lisp for AI applications. We had Symbolics Lisp workstations, but I did most of my coding on my Mac, using ExperList or the wonderful XLisp written by friend and colleague David Betz. Lisp was convoluted to work with, and in general rules-based systems required that there was an expert available to develop the rules. It turns out that it’s very difficult for any human expert to describe in rules how they got a particular answer. And those rules generally couldn’t take into account any data that might help it learn and refine over time. As a result, most rules-based systems fell by the wayside. While they could work for discrete problems where the steps to a conclusion were clearly defined, they weren’t very useful when the problem domain was ambiguous or there was no clear yes or no answer. A couple of years later I moved on to working with neural networks. Neural networks require data for training purposes. These systems are made up of layered networks of equations (I used mostly fairly simple polynomial expressions, but sometimes the algorithms can get pretty sophisticated) that adapt based on known inputs and outputs. Neural networks have the advantage of obtaining their expertise through the application of actual data. However, due to the multiple layers of algorithms, it is usually impossible to determine how the system arrives at the answers it does. 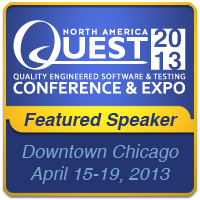 Recently I presented on machine learning at the QUEST Conference in Chicago and at Expo:QA in Spain. In interacting with the attendees, I realized something. While some data scientists tend to use more complex algorithms today, the techniques involved in neural networks for machine learning are pretty much the same as they were when I was doing it, now 25 years ago. So why are we having the explosion in machine learning, AI, and intelligent systems today? When I was asked that question recently, I realized that there was only one possible answer. Computing processing speeds continue to follow Moore’s Law (more or less), especially when we’re talking floating point SIMD/parallel processing operations. Moore’s Law doesn’t directly relate to speed or performance, but there is a strong correlation. And processors today are now fast enough to execute complex algorithms with data applied in parallel. Some, like Nvidia, have wonderful GPUs that turn out to work very well with this type of problem. Others, like Intel, have released an entire processor line dedicated to AI algorithms. In other words, what has happened is that the hardware caught up to the software. The software (and mathematical) techniques are fundamentally the same, but now the machine learning systems can run fast enough to actually be useful. Posted by Peter Varhol in Software development, Software platforms, Uncategorized. Today, we might be considered to be in the heady early days of AI commercialization. We have pretty decent speech recognition, and pattern recognition in general. We have engines that analyze big data and produce conclusions in real time. We have recommendations engines; while not perfect, they seem to be to be profitable for ecommerce companies. And we continue to hear the steady drumbeat of self-driving cars, if not today, then tomorrow. I did graduate work in AI, in the late 1980s and early 1990s. In most universities at the time, this meant that you spent a lot of time writing Lisp code, that amazing language where everything is a function, and you could manipulate functions in strange and wonderful ways. You might also play around a bit with Prolog, a streamlined logic language that made logic statements easy, and everything else hard. Later, toward the end of my aborted pursuit of a doctorate, I discovered neural networks. These were not taught in most universities at the time. If I were to hazard a guess as to why, I would say that they were both poorly understood and not worthy of serious research. I used a commercial neural network package to build an algorithm for an electronic wind sensor, and it was actually not nearly as difficult as writing a program from scratch in Lisp. I am long out of academia, so I can’t say what is happening there today. But in industry, it is clear that neural networks have become the AI approach of choice. There are tradeoffs of course. You will never understand the underlying logic of a neural network; ultimately, all you really know is that it works. As for Lisp, although it is a beautiful language in many ways, I don’t know of anyone using it for commercial applications. Most neural network packages are in C/C++, or they generate C code. Never happened, of course, and the problems were solved anyway, but this tells you what kind of bubble academics live in. We have a specification built by a committee of smart people, almost all academics, and of course it’s going to take over the world. They failed to see the practical roadblocks involved. And in AI, neural networks have clearly won the day, and while we can’t necessarily follow the exact chain of logic, they generally do a good job. Update: Rather than functional programming, I should have called the latter (traditional) AI technique rules-based. We used Lisp to create rules that spelled up what to do with combinations of discrete rules. Posted by Peter Varhol in Software development, Uncategorized. When I was in graduate school, I studied artificial intelligence (AI), as a means for enabling computers to make decisions and to identify images using symbolic computers and functional languages. It turned out that there were a number of things wrong with this approach, especially twenty-five years ago. Computers weren’t fast enough, and we were attacking the wrong problems. But necessity is the mother of invention. Today, AI and machine learning are being used in what is being called predictive analytics. In a nutshell, it’s not enough to react to an application failure. Applications are complex to diagnose and repair, and any downtime on a critical application costs money and could harm people. Simply, we are no longer in a position to allow applications to fail. Today we have the data and analysis available to measure baseline characteristics of an application, and look for trends in a continual, real-time analysis of that data. We want to be able to predict if an application is beginning to fail. And we can use the data to diagnose just what is failing. In that the team can work on fixing it before something goes wrong. What kind of data am I talking about? Have you ever looked at Perfmon on your computer? In a console window, simply type Perfmon at the C prompt. You will find a tool that lets you collect and plot an amazing number of different system and application characteristics. Common ones are CPU utilization, network traffic, disk transfers, and page faults, but there are literally hundreds more. The is a Big Data sort of thing; a server farm can generate terrabytes of log and other health data every day. It is also a DevOps initiative. We need tools to be able to aggregate and analyze the data, and present it in a format understandable by humans (at the top level, usually a dashboard of some sort). How does testing fit in? Well, we’ve typically been very siloed – dev, test, ops, network, security, etc. A key facet of DevOps is to get these silos working together as one team. And that may mean that testing has responsibilities after deployment as well as before. They may establish the health baseline during the testing process, and also be the ones to monitor that health during production.